In the Torah portion Behaalotecha (Num. 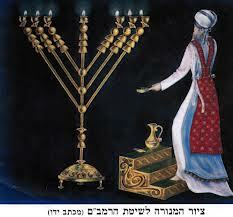 8:1), Aaron is commanded to light the Menorah so that three light on the right and three lights on the left are directed towards the middle light. On the first blush, it appears to be a very strange commandment. Why would lights on the right and on the left need to be directed towards the center light? What is the significance of that? It seems to me that this unusual arrangement hints at fundamental structure of our world. Sefer Yetzirah states that this world is created in three domains – Olam (“World” – meaning space), Shanah (“Year” – meaning time) and Nefesh (“Soul” – meaning spiritual domain). The shape of the Menorah represents the inner structure of these worlds and the peculiar light arrangement provides even greater insight. 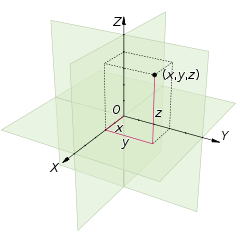 Our space has three dimensions, which manifests itself in the process of triangulation – one needs to provide three coördinates (X, Y, Z) of a point to specify its position in space. However, these three coordinates are meaningless unless we specify from where we count them, i.e., the point (0, 0, 0). In a Cartesian coördinate system, this is the point where the X axis intersects with the Y and Z axis. 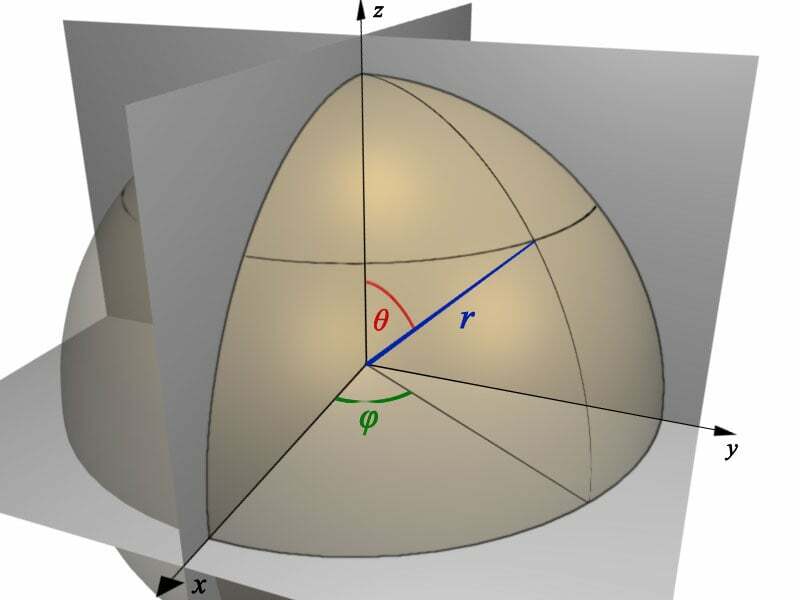 Similarly, in spherical coördinates, one must specify the radius r and two angles, θ and ϕ. This would be meaningless unless we first specified the center of coordinates. This points to an interesting structure – we have six directions of movement: forward and backward, right and left, up and down, and the center that makes these directions meaningful – seven in total. The seven branches of the Menorah points out to the structure having seven elements. Moreover, the peculiar light arrangement where six peripheral lights are all pointed towards the center light further illuminates the geometry of space – the seven elements are comprised of six directions and the center – the point of reference that makes them meaningful. During the holiday of Sukkot (Tabernacles) Jews sit in a sukkah (hut) surrounded by four walls, the schach (“roof” of the sukkah) and the floor – six in total. The Jew sitting in the sukkah is the center. Here again we have the same 6 + 1 structure. During this holiday, Jews shake lulav and etrog. The motions (in Heb., “na’anuim”) are made from the heart of the person into all six directions, each time returning the lulav back to the heart. Once again, we have this 6 + 1 structure, where 6 are six directions in a 3-dimensioanal space and 1 is the center (the heart). In time we also find the same 6+1 structure – the week. Seven branches of the Menorah symbolize seven days in a week. And the arrangement of lights, all pointing to the center, symbolizes the inner structure of the week, which is comprised of six weekdays and the holy day of Shabbat. 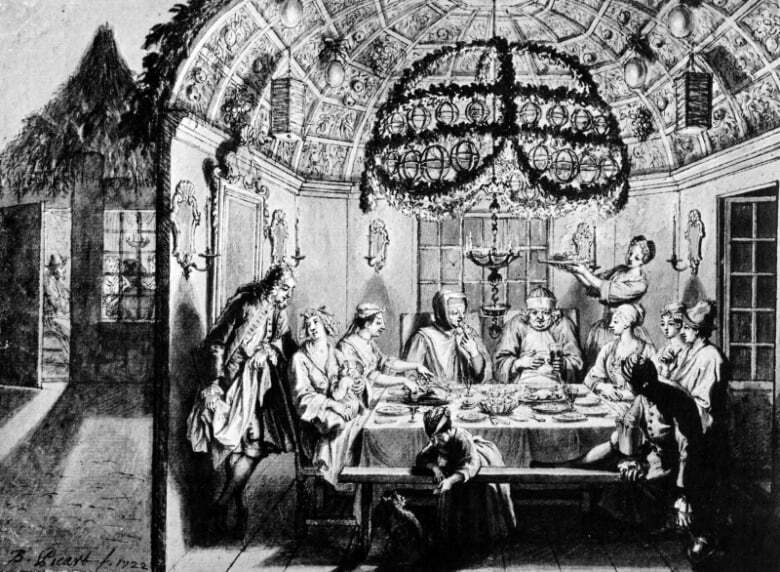 It is interesting to note that seven day week is not unique to Jews; it is universally found among all nations. Communist government tried to change the week to ten days in the early days of the Soviet Russia, but they failed miserably. The week has reverted back to seven days. It seems that that there is something fundamental about the seven-day week. There is clear parallel between the inner structure space and the inner structure of time. In space, we have six directions, spreading outward from the center. In time we have six weekdays, during which we have to go out of our homes and work – the service of Tikun Olam (the kabbalistic concept of fixing the broken world). These days are extravert, as it were. On Shabbat, we return home, we focus on prayer, on our inner self – this day is introvert, it is the heart of the week. In the spiritual domain, out of ten sefirot (Divine emanations) seven lower sefirot, called midot, play a particular role. It is this seven midot that manifest themselves in this world as seven days of the week in the domain of time and six directions spreading out of the center in space. 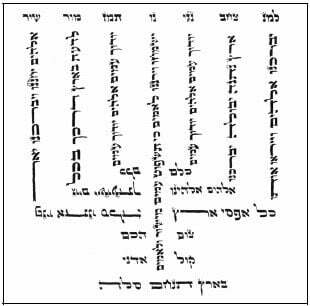 Not coincidentally, this seven midot are also divided into 6+1 where the last midah – Malchut – corresponds to Shabbat in time and to the center of coordinate system in space. This is how Menorah illuminates the inner structure of our universe in all its domains – space, time and spirituality.